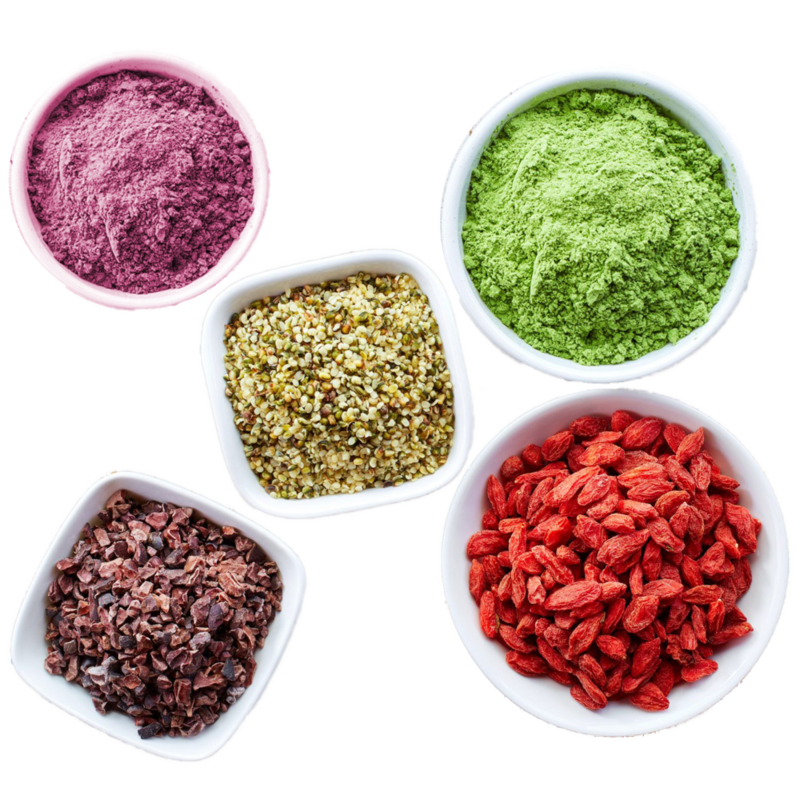 Our superfoods come in resealable pouches and are all organic, vegan, kosher, and free of fillers, gluten, soy, gmo, dairy, and refined sugars. I source every ingredient with the utmost care for your health. We source our ingredients with care that our entire supply chain operates with as much integrity as we maintain in our kitchen. I gain as much information as possible on their quality, and to ensure that they are produced with as much human Love and respect for the environment as we maintain in our kitchen. These products have integrity. Should you desire a superfood that is not listed below, please don’t hesitate to inquire - I'm happy to be part of bringing the abundance of Monther Nature with you!